"Service is always great and everyone is very helpful and professional when conducting business. The complex is very clean and well maintained. Thank you!" "In the 4 months that I have been a resident of an Ernst & Haas property, I have experienced nothing but the highest quality of service. Their kind and good-natured staff have proved eager to assist me and answer all of my questions. I have been a renter at various locations throughout Long Beach, and Ernst & Haas is by far the most reliable management company I have ever rented from. They make everything easy and accessible from the initial viewing process to making rent payments to maintenance requests. I highly recommend all of their properties and friendly staff. " "We have always tried to keep our customer service requests to an absolute minimum, but whenever there has been a problem we were unable to handle ourselves, Ernst & Haas has always been very expeditious and efficient in resolving the issue. " "Ernst & Haas is prompt, efficient and professional. That is all one needs from a property management company. " "I have been a tenant under an Ernst & Haas managed building for 2 years. This has to be, hands down, the best management company in the entire area. The application process is quick and easy (and all available online). I received a call about 1 week after they processed my application and was moved in within 2 weeks. Very fast and friendly service. Signing the lease and other paperwork was a breeze. The other thing this company does very well is maintenance. Every time I have a plumbing problem or something breaks in the apartment building, I submit a request online and the problem is solved within 48 hours. Overall, they are very professional and very reliable. If you're looking for a place to live without the hassle of a landlord, check out a place they manage. " "I've been recommending Ernst & Haas to friends and family saying that you are a serious company with reasonable rates. I don't have any bad feedback because you guys have been very nice and respectful and that is something that people appreciate. Thank you! " "Excellent service! Five-star management company all the way. I have rented for the past 10 years in Long Beach and dealt with a lot of property management companies and my experience has never been better than with Ernst & Haas. They are friendly, knowledgeable, and very nice people to deal with. As soon as you walk in the office everybody greets you with a warm friendly smile. 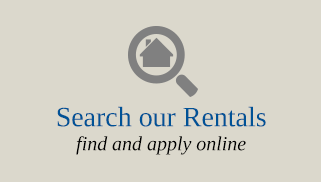 As long as I'm renting, Ernst & Haas Management will be my #1 choice for rentals." "Great company to rent from. Everybody at this company is extremely helpful and friendly. Young staff but very PROFESSIONAL! I can tell they really believe in teamwork there. Everybody is willing to help even though it's not their department. Hope I rent from them for a long time. " "I found the property I now rent on Craigslist. I called the number thinking it would be another head ache situation, but the young lady who answered was very helpful. I was well informed about how to go about getting into the property. Most places I called were short with answers, sounded busy and not in the mood for helping. Answering a few questions over the phone made my search incredibly more efficient"
"Great job as always! Getting an apartment rented in my area is challenging, but in the middle of the holiday season? Wow! One of the best decisions I've made was to have Ernst & Haas manage my property." "Over the past 10 years I have watched Ernst & Haas grow and I am pleased with where the company is going, and am happy that despite the growth the customer service has remained consistently excellent." "Oh my gosh, y'all are the best! The property management company for a condo I have in Hawaii doesn't do any of this (and for a higher fee, I might add!) and I have to do a lot of the legwork talking to the HOA as a result. If y'all ever start servicing Honolulu , let me know. I'll switch to you in a heartbeat! Thanks a million!" "Ernst & Haas are true professionals. I am very satisfied with them. They have managed my properties for over 7 years. I have only positive things to say. David Haas is a person I completely trust. He has managed millions of dollars for me. His team is always on top of issues and never loses control of a situation. They never bring problems to me without solutions already lined up. I think anyone choosing Ernst & Haas is making a very good business decision." "I have been an EXTREMELY SATISFIED customer of the Ernst & Haas organization for approximately 2 years. From the initial walk-through with David to the subsequent rehab and rental of the property (I live at least 2 hours away on a GOOD 91 Freeway day so David took care of everything for me), the services provided to me have been outstanding, while the prices have been very reasonable! I would highly recommend the Ernst & Haas organization to anyone requiring property management!" 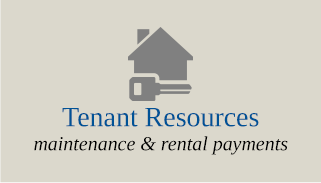 "You have handled our rental REO on Curry Street in Long Beach for over 2 years and the service has been exceptional. The check is always on time, the property is managed professionally and effectively and we have had very little turnover. I have no complaints. If we owned more property in LA County you would manage it. Thank you for your help!" "I have a very nice, extremely clean condominium for rent. I had personally listed it on Craigslist for almost 2 months. I had signs posted locally and held open house on weekends. I had very little response to anything. I called on a Monday and set up an appointment with Ernst & Haas for Tuesday morning. By Wednesday everything was agreed to and the ads posted. The unit was shown three times on Friday, and a renter signed up by the following Monday. I regret that I wasted so much time trying to rent the condo myself and am very relieved to have Ernst & Haas do the credit and background checks. I am extremely pleased with our relationship." "Ernst & Haas has been an excellent property management company that I have been very pleased to have been associated with. They have been very prompt to handle the needs of my tenant and have kept me informed of any maintenance problems and any repairs have been done immediately. 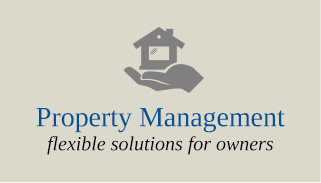 Would I recommend them as a property management company to my friends? Absolutely." "As a client of Ernst & Haas, I can happily express my complete confidence in their management of my property on St. Louis Avenue. They operate in a most professional manner, keeping me informed of any major repairs needed, sending me monthly reports on time, and maintaining the 5 units in the best possible way. I have had no tenant complaints about their management. The property is always clean, continually upgraded when needed, gardening kept up, bills paid on time, and suggestions for improvement made when needed. Everyone I have had contact with has been considerate, knowledgeable, and friendly. I always feel my property is in the best of hands. There is nothing negative I have to say about Ernst & Haas." "The best testimonial we can give you is that we have referred friends and family with complete confidence that they will receive the same good service we do." "I could not manage my property without your company. The service is a bargain considering I have no stress or headaches. I tell my family that this is the best thing I've done with rental property." "After years of managing my own properties I finally gave Ernst & Haas a chance to show me what they could do. I have never regretted giving up that job to them! They handle all the day-in/day-out details of management in an efficient and cost effective manner. It is so much easier now to treat my rentals as a business, while knowing my tenants are being given a professional level of service. Plus, no more late night calls for me to get a plumber or workman to respond to a renter's problem. I am very satisfied that Ernst & Haas has my back with their up-to-date handling of legal issues pertaining to my rentals, and am happy to say I'll never go back to managing myself... I'll leave it to the experts!" "I am glad to take the opportunity to express my sincere thanks to the team of Ernst & Haas. Thank you all for your professional services. You are very efficient, courteous, flexible, and thorough. I can refer your business to others without any hesitation. Hope your business will expand to other locations soon." "I am a property owner in Long Beach who has been a client of Ernst & Haas Property Management for approximately 3 years. Throughout the time I have been their client, they have been a highly professional company, and have quickly responded to any questions or concerns I had with regard to finding a tenant, maintaining and managing the property. Without any hesitation, I would recommend Ernst & Haas Property Management as being professional, courteous and outstanding in all aspects of property management and customer service. I look forward to a long relationship with them." "Ernst & Haas has served as our management company for over 6 years and we could not be more happier with them. In fact we are so happy that they managed all 4 of our Los Angeles area properties! We know that it is difficult to find hardworking and committed management companies that will treat your property as if it were your own however, with Ernst & Haas, there was never any doubt. They have a highly professional and courteous team who are always willing to go the extra mile to meet our needs. They are always there and will find a solution to every situation in a professional and caring manner. I trust them with the handling of my funds and properties and I would certainly continue to recommend Ernst & Haas as a management team that simply put, knows how to get the job done!"